Robertsons Solicitors is a multi-disciplinary law firm that have provided a first-class service since 1903. 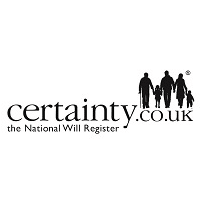 They are one of thousands of law firms that exercise best practice when dealing with an estate and use Certainty the National Will Register to search for Wills that have been registered and those that have not. A Certainty Will Search Combined is an allowable disbursement from the estate of £95 +vat.